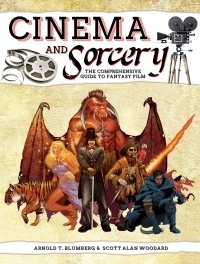 Cinema and Sorcery: A Comprehensive Guide to Fantasy Film is now available for pre-order, or as a multi-format eBook. When you pre-order the print version of Cinema and Sorcery, you’ll be offered the eBook versions for just $5 at checkout. The eBook is current available in mobi and ePub formats. Any future electronic formats will be added to your available downloads when they become available. You can get the same deal from participating Pre-Order Plus retailers. Pre-order Cinema and Sorcery today!